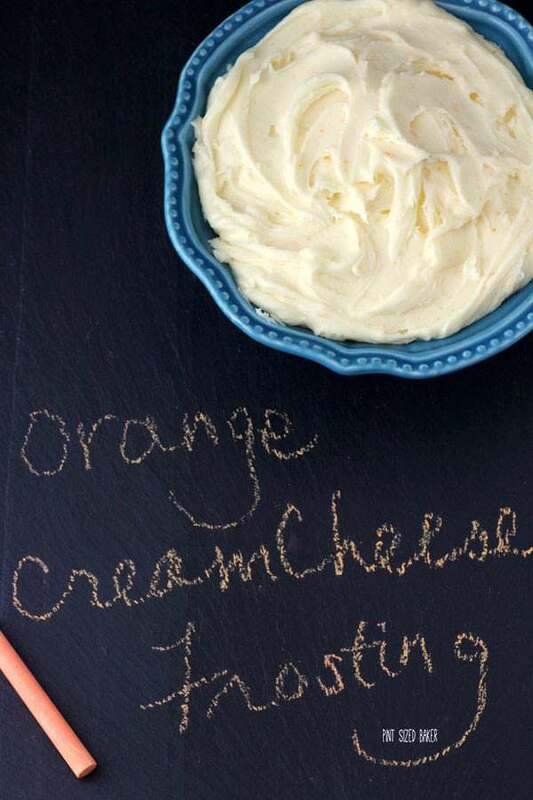 You’ll fall in love with this delicious Orange Cream Cheese Frosting! 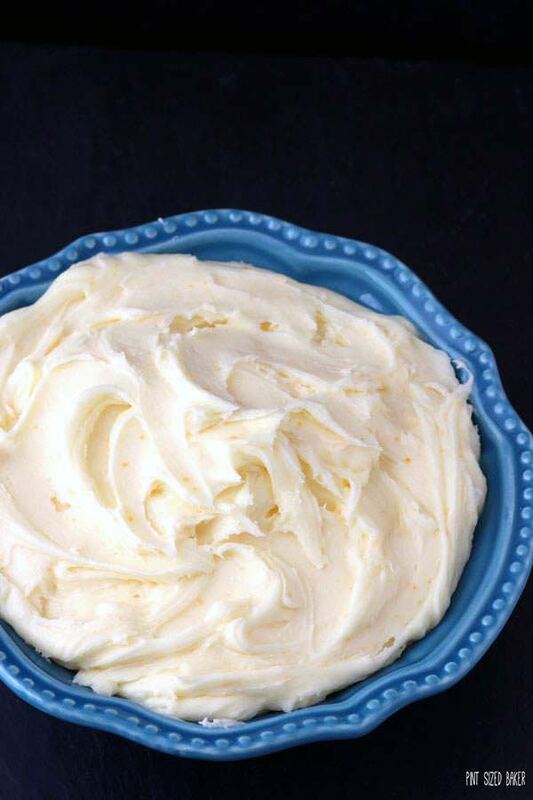 It’s sweet and busting with orange juice and orange zest that’ll just blow you away! I’m not a huge fan of cream cheese frosting. I don’t care for the tang. I love yogurt, but just never got my taste buds around cream cheese, or sour cream for that matter. Call me a weirdo, I know I am. But, I know that you can’t have carrot cake without cream cheese frosting. They kinda go together – they are a package deal. Since I can’t have one without the other, I decided to infuse some orange flavor to the mix. Well, I loved the finished product. And it took me a while to get to the finished product. What you aren’t seeing is the soupy, sticky mess that I thought was the finished product. I followed the instructions and I thought that it would firm up, but it didn’t. I was most unhappy with the results. I was following a recipe that called for a sheet cake. Just a cake baked in a 9 x 13 dish and then had the frosting added to it. I wonder if the frosting was supposed to be thin and more glaze like for that cake. It surely didn’t work for my cake. So, I went back to the drawing board and added A LOT more sugar. To tell you the truth, I kinda lost count of how much powdered sugar I added to the mix. I just kept added a quarter cup of powdered sugar until I had a thick, full, fluffy frosting that reminded me of buttercream. Keep adding the powdered sugar until the frosting is no longer sticky and viscous. You can refrigerate this once it’s made, but leave it out to soften before trying to spread it. 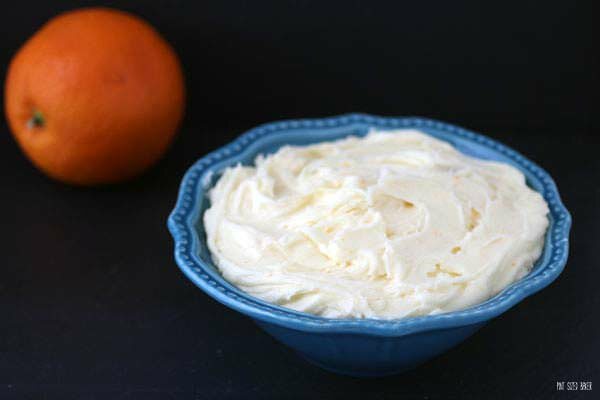 Easy and delicious, orange flavored cream cheese frosting. Place the cream cheese, butter, juice and zest into a mixer fitted with a paddle attachment. Mix until smooth and combined. Slowly add in the powdered sugar until the frosting is thick and fluffy. If the mixture is still sticky, keep adding more sugar until the consistency looks more like butter cream. Cover with plastic wrap to keep it from crusting over and place it in the fridge until ready to use. 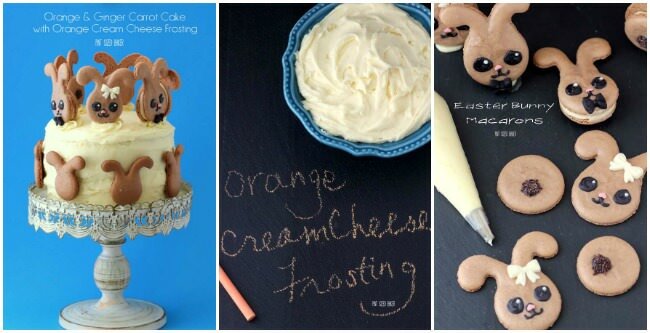 Looking for more easy frosting recipes? How about this Fresh Lemon Buttercream Frosting, or this Maraschino Cherry Frosting, and finally this Toasted Coconut Vanilla Bean Frosting? This recipe is part two of a three part series including Easter Bunny Macarons and a Carrot Cake Recipe.